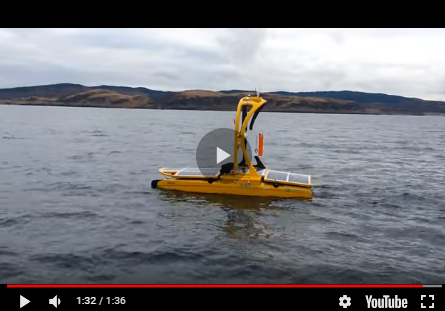 With 40 years of growth and development behind them, the MacArtney Group are growing product lines and continue to strengthen ties within a diverse range of underwater technology industries. Still strongly linked with oil & gas and ocean science, MacArtney is also developing system solutions for renewable energy, defence, civil engineering and fishery industries. Overall, the MacArtney Group’s revenue has increased, resulting in positive earnings this financial year. The integration of two manufacturing sites; the creation of an operations organization responsible for procurement, supply and service globally, in addition to process enhancements in ERP (Enterprise Resource Planning), IT support tools and IT infrastructure have resulted in a more efficient operation. Through this, MacArtney have demonstrated resilience and continued commitment to strengthening their business platform for future growth. MacArtney’s approach as a full system solutions provider has seen this innovation come to fruition through the completion of a wide range of industry projects in 2018. Sales of the FOCUS and TRIAXUS ROTV systems into the oil & gas and ocean science markets continue at a steady pace as well as sales of the MacArtney CORMAC and MERMAC winch systems. MacArtney partner SubConn, manufacturers of underwater connectors, are also experiencing sales higher than ever.